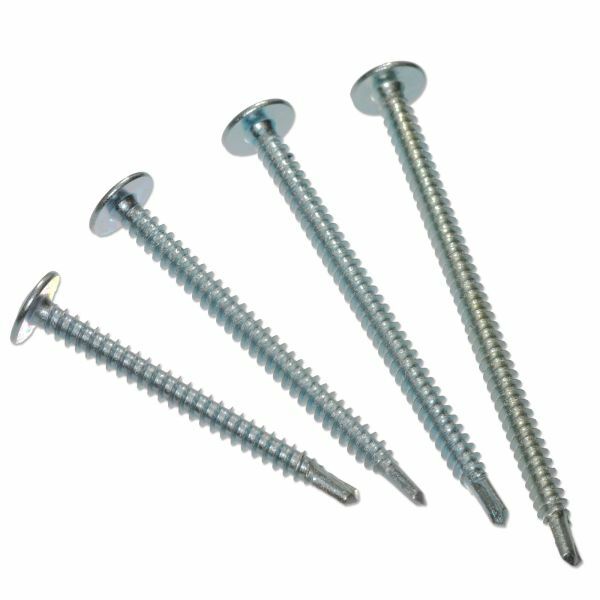 Product information "4.8mm Baypole Screws (50 Pack)"
Get a screw designed for the job! High quality self-drilling, fully threaded 4.8mm Bay Pole screws, designed to join uPVC window & conservatory frames together or to a bay window pole or any other connection of window frame to frame, creating strong new fixings. The self drilling point tip, screws save time and hassle doing 2 jobs in one! They are ideal for joining uPVC windows, bays and frames when no hole exists and are recommended by manufacturers. Eliminates the need to drill a pilot hole or pre-drill to create a thread and can even be used on steel reinforced frames! The Phillips Wafer head incorporates a washer and low profiled dome head. The washer like head spreads the load and can not be pulled into the profile and crease it - unlike traditional countersunk screws. This not only provides a neater appearance - it also stops water potentially pooling and causing corrosion. Related links to "4.8mm Baypole Screws (50 Pack)"
Customer review for "4.8mm Baypole Screws (50 Pack)"